Philadelphia is an amazing place to visit or live. There are many things to do in Philadelphia. There are many things to do in Philadelphia that won’t cost you a thing. Why not try these free things to do in Philadelphia! 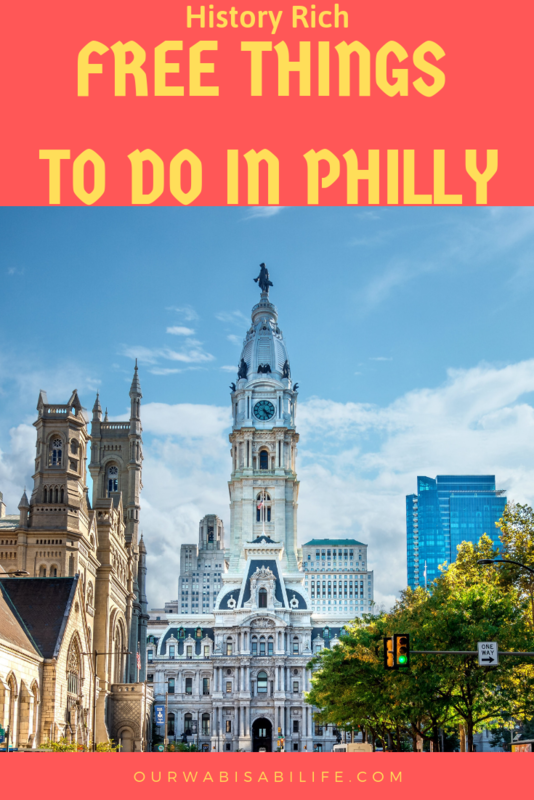 Whether you live in Philadelphia or just planning a visit, it is always a good idea to know free things to do in Philly. It is a simple way to get more out of your day. Save your money for the more expensive fun places. This list of free things to do in Philadelphia will have something for everyone. Whether you are having a staycation in your own area or visiting from another city, Philadelphia has lots to offer. Because Philadelphia has so many wonderful free things to offer, Reedman Toll Nissan of Drexel hill wants you to know some of the Free Things to Do in Philly. Tour the Kimmel Center – The Kimmel Center is well known as a gorgeous concert venue. However, there are other things to know about the Kimmel Center. Visit the Kimmel Center and take a free tour to learn more about the architecture of the building and its history. The tour is offered every day at 1 pm and lasts about an hour. While on the tour you will be able to see several of the theaters of the center. You can also free concerts at the Kimmel’s Center. Independence Hall – When visiting Independence all you will be in the same building where the Declaration of Independence was agreed upon. Independence Hall is one of Philadelphia’s most well-known building. While you do need to have a ticket for the tour, the tickets are free and available on a first come first serve basis. Also, located at Independence Hall is the Liberty Bell. Liberty Bell – The Liberty Bell is located right next to Independence Hall. The Liberty Bell once hung in the tower of Independence Hall, it is now housed in its own building next to Independence Hall. Congress Hall –Congress Hall is another historical building in Philadelphia. From 1790 -1800, Congress Hall is where the Senate and the House of Representative. At Congress Hall, there were two presidential inaugurations as well as many other events that helped to shape the birth of the country. US Mint – Everyone wanted to see where they make money? You can visit the US Mint in Philadelphia to see how coins are made. The Mint offers a self-guided tour that shows the history of the US Mint that allows you to see the process of how a coin is made. Jefferson’s Walking Tour of Philadelphia – Thomas Jefferson lived in Philadelphia and frequented many places. Take the self-guided Free Jefferson Walking tour and see the places that Jefferson visited. Edgar Allen Poe House – Most people know Edgar Allen Poe from his short stories and poems. When Poe was at the height of his career, he lived in Philadelphia for six years. While he lived in several places in Philadelphia, only one building is still standing. Visit the house where Poe lived during “the happiest years of his life”. Philadelphia Brewing Company – When visiting the Philadelphia Brewing Company on Saturdays from noon until 3 pm, you can tour the factory and learn how to they make the beer. After the tour, you can pay to try samples of the many great beers they make. Mummers Museum – Every year on New Year’s Day, the Mummers strut their stuff through the streets of Philly. The Mummers are known for their performances and music, but most of all the costumes. Visit the Mummers Museum, always free, to learn more about their history and about their legacy. Ryerss Museum – The Ryerss Museum is located in Burholme Park and features an extraordinary and eclectic collection. There are generations of family heirlooms, decorative art, painting, Asian art and artifacts, sculptures. The Library has a variety of best sellers, children’s books, nonfiction, and periodicals. Science History Institute– The Science History Institute, formally the Chemical Heritage Foundation Museum, is located in the heart of the city. This museum features the history of chemistry, from alchemy to recent years and how chemistry has changed our lives. Fireman’s Hall Museum – The Fireman’s Museum is a restored fire hall from the turn of the century. The museum focuses on the history of firefighting in Philadelphia. Carpenter’s Hall – The Carpenter’s Hall is a very historic building in Philly. It is the site of the First Continental Congress in 1774. It was also a Revolutionary War hospital and the 1st and 2nd banks of America. In addition, it was the first library of Benjamin Franklin. Polish American Cultural Center Museum – The Polish American Cultural Center lets you get a glimpse into the Polish culture and history. Whether you are interested in Polish culture or you are a Polish American, this museum is an interesting place to visit. Taller Puertorriqueño – Located at the Latin American cultural center, there are showcases by Puerto Rican and Latin American artists. TUSPM Shoe Museum – The TUSPM Shoe Museum, which is run by Temple, has hundreds of pairs of shoes from every era and style. Dating all the way back to Ancient Egypt, there are even shoes that were worn by first ladies and celebrities. While admission is free, you must schedule the visit in advance. SEPTA Transit Museum – The SEPTA transit museum shares over 100+ years of the public transit system in Philadelphia. There is a selection of models, memorabilia, and information detailing the history of SEPTA. Wells Fargo Museum – It might sound like a strange idea, but the Wells Fargo Museum could be one of the most interesting museums in Philadelphia. On display are artifacts about the bank’s past as a Pony Express carrier and what it was like to deliver mail in the Old West. Fabric Workshop and Museum –The Fabric Workshop and Museum features artists who are using fabric and other materials to create new works. The museums have a permanent collection of contemporary art and sketches of projects. There are many free things to do in Philadelphia. There are many more free things to do in Philly, but this is a small list of history rich free things to do in Philadelphia.